Because in addition to growing tusks, muntjacs also bark. 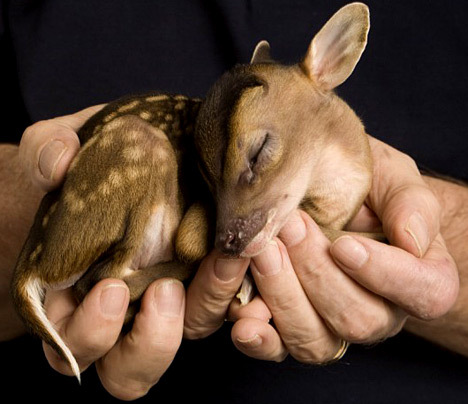 Did you know the smallest deer in the world is a muntjac? 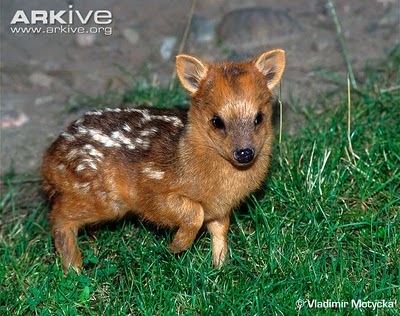 It's called the Pudu. Okay, that's a baby Pudu - it's almost impossible to picture it eating animals and fighting with its tusks. So let's try again...let's check out an adult male muntjac with tusks! That's more like it. Now picture this guy goring his rival with his saber teeth and tiny antlers, while maybe stepping on a vole for later snacking, and you've got the muntjac. 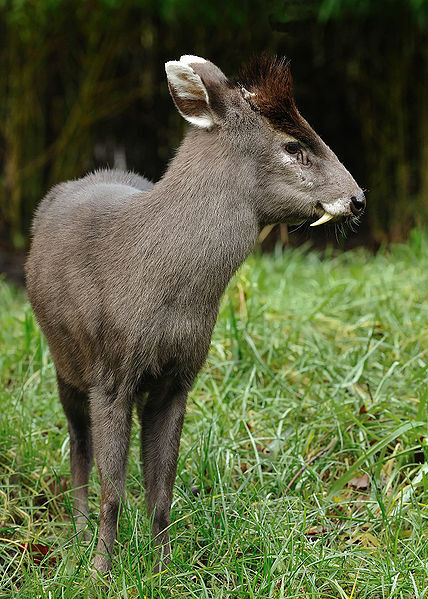 But though they are fierce fighters, muntjacs are so secretive that certain types are occasionally feared extinct. Decades might go by before a reappearance causes scientists to punch one another on the shoulder in glee. Like people seeing Elvis at the beach or something. Muntjacs also have the opposite problem. 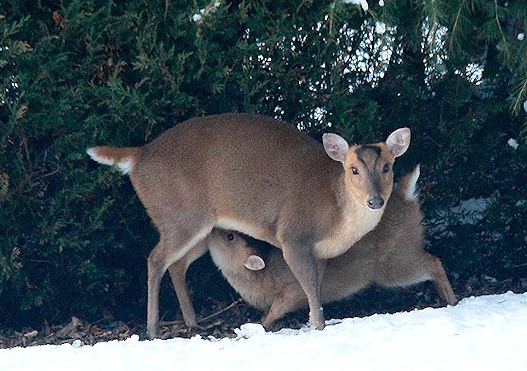 Though they are all native to tropical Asia, muntjacs are officially declared pests in Britain. Huh? Seems that in 1900, the Duke of Bedford imported a bunch of Reeves muntjacs from China into Bedfordshire. They are now found all over Britain and are considered a common feature of the English garden because they'll eat... anything. 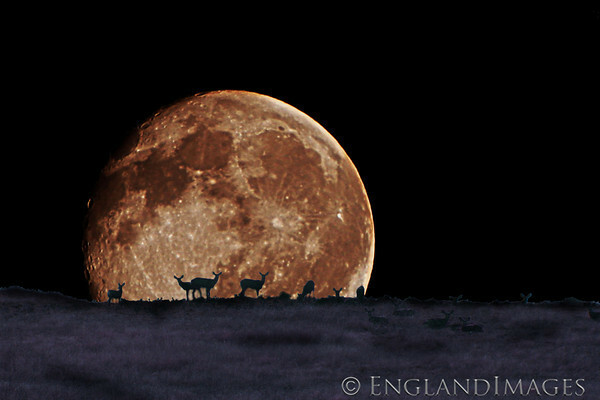 So now, when your friends talk about how cute deer are, you can say in a low voice, "I know about the dark side of deer." Muntjacs do have a lighter side, though. 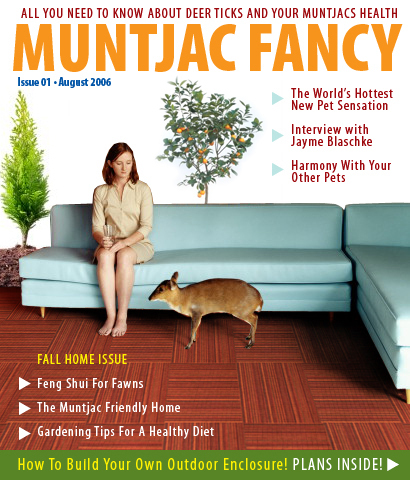 What about the muntjac as exotic pet? Yep, you can get 'em for your home or yard. But why would you want to when, on Britains's Most-Wanted list, they are described as "dangerous and destructive"? Love that joke magazine cover! 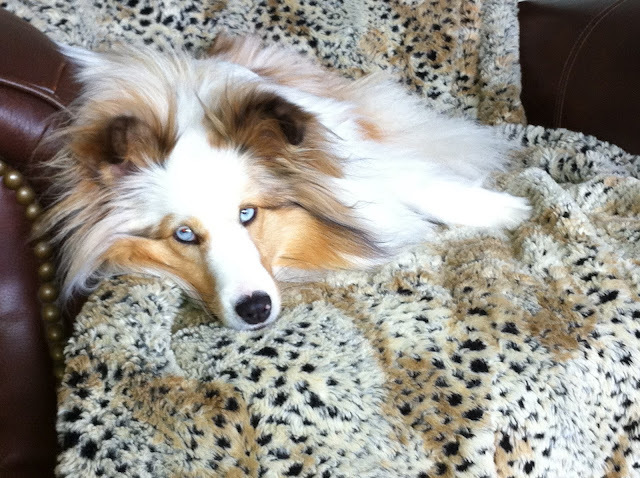 What an amazing animal! Who knew?